Our health is under attack and corporate interests are controlling the agenda. But Breast Cancer Action has your back. As we face the difficult year(s) ahead, now’s the time to step up your support to Breast Cancer Action and join our circle of monthly donors. 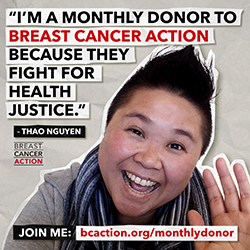 Your monthly donation to Breast Cancer Action is an investment in social change and an important form of grassroots activism. Our monthly donor program is called the “Susan Stone Circle” for Susan Stone, a passionate and fierce member of our Board of Directors who died of breast cancer in 2002. If just 100 people join our monthly donor base, it will go a long way to ensuring we have the resources we need to be the relentless watchdog for women affected by breast cancer. 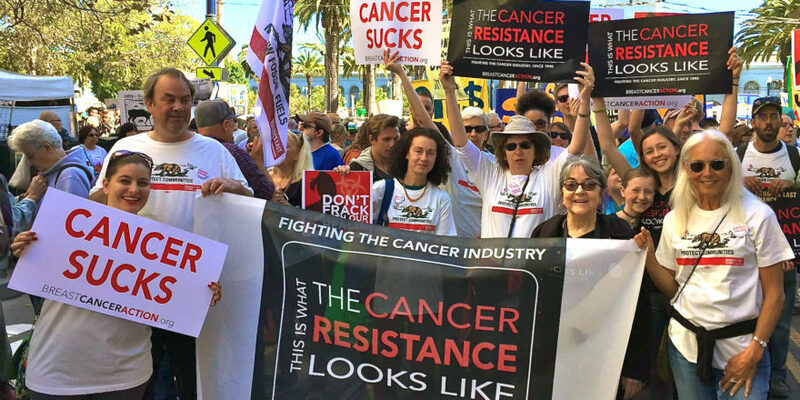 Will you become a monthly donor today, to push back on corporate-driven agendas, resist the gutting of healthcare and fund the fight against toxic exposures that increase our risk of cancer.